I have never had Mexican Pizza! I love Mexican food and I love pizza - so, this makes sense! I will have to give it a try.! Thanks so much for sharing on Foodie Friends Friday. We would appreciate it if you would show a link to us on your page. Thanks so much! That looks so yummy! 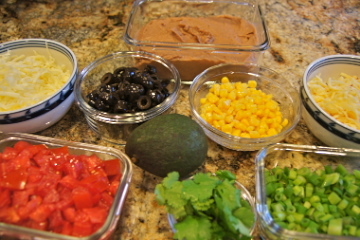 I've never thought to make a Mexican pizza at home and yours is the one I'm going to have to make. :) Thank you so much for sharing this! I came by from FFF.